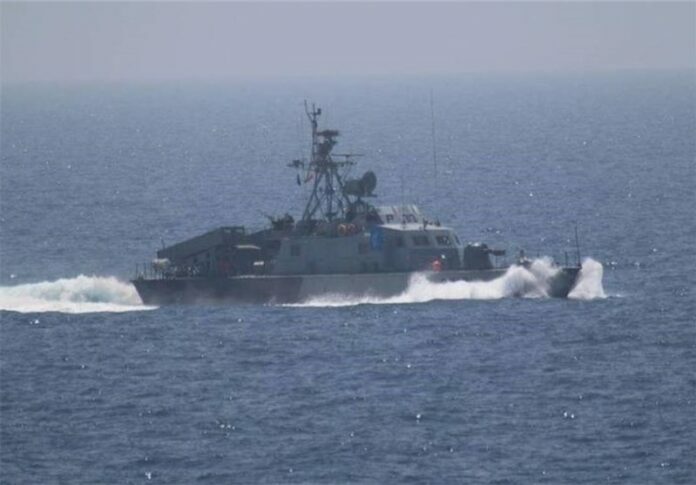 The Islamic Revolution Guards Corps (IRGC) Navy on Tuesday dismissed as fictitious and “propaganda campaign” US claims that an IRGC vessel has pointed its weapon at an American helicopter in the Strait of Hormuz. Reports by US officials that a patrol vessel of the IRGC naval forces recently pointed its weapon at a US Navy helicopter in the Strait of Hormuz is part of the US “propaganda” campaign against the Islamic Republic, an informed source at the IRGC Navy said in a statement on Tuesday. “Some US officials occasionally repeat such allegations. It shows that they are seeking certain goals beyond their propaganda campaign (against Iran). Therefore, we tell them with emphasis: Stop the propaganda; you are the problem,” the source said. On Monday, two US defense officials, speaking on condition of anonymity, claimed an IRGC patrol vessel on Saturday pointed its weapon at its helicopter in the Strait of Hormuz in an “unsafe and unprofessional” encounter. They claimed the incident took place when a US Navy MH-60 helicopter flew within half a mile (0.8 km) of two Iranian vessels in international waters. One of the vessels pointed a weapon at the helicopter, they added. It is no secret to anyone that the main problem is the presence of American military forces in the Persian Gulf, the source said, noting that via “inappropriate” and “unprofessional” behavior, Americans are attempting to show that the security situation is the region is not normal. The source added that Iranian military forces, regardless of enemies’ propaganda, will continue monitoring all movements in the Persian Gulf and the Strait of Hormuz to secure maritime routes and establish security in the region. In a similar development on August 25, Pentagon officials said Iranian speedboats had “harassed” US warships in the Strait of Hormuz. They said Iranian boats sped close to two US Navy destroyers with their weapons uncovered in the Strait of Hormuz in an “unsafe and unprofessional” encounter. A day later, Iran’s Defense Minister Brigadier General Hossein Dehqan vowed that the Islamic Republic would confront any vessel intruding into its territorial waters. Iran has invariably stressed that it only uses its naval might for defensive purposes and to send across the Islamic Republic’s message of peace and security to other nations.